Al Barakah Auto Parts is proud of it's Re - Export division. Primarily re - export is confined to TOYOTA and NISSAN GENUINE SPARE PARTS. In order to serve the customers all over the globe and to satisfy each and every requirement, Al Barakah is providing them with all the parts they demand whoever be the manufacturer and includes GENUINE SPARE PARTS of Mitsubishi, Mercedes, Honda, Mazda, Isuzu ,Subaru, Hyundai and many more. In case of unavailability of parts in local market Al Barakah goes to the extent of procuring the same directly from the manufacturers. 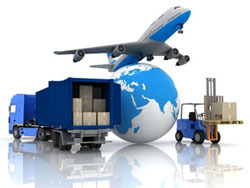 All our re- export customers are being provided with the best prices and high quality services. Any queries from a re - export customer is taken care of immediately and they are provided best possible support so that they do not face any hassle in the whole re exporting process.